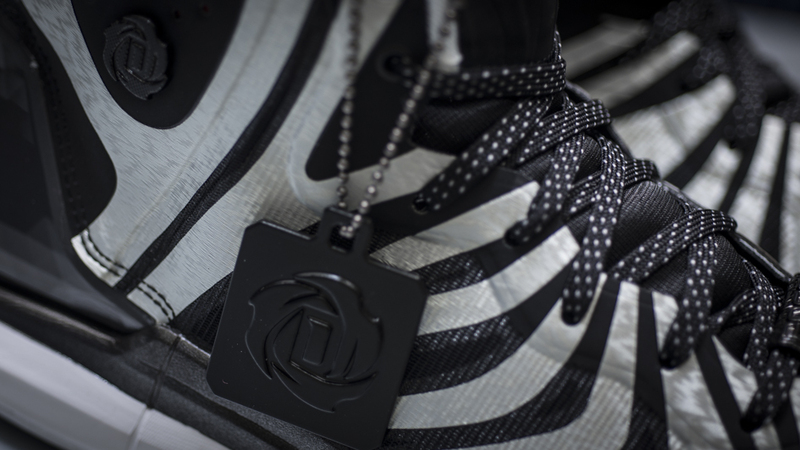 D Rose’s absence from the court hasn’t stopped the folks at adidas from pumping out new models and colorways of his signature kicks. 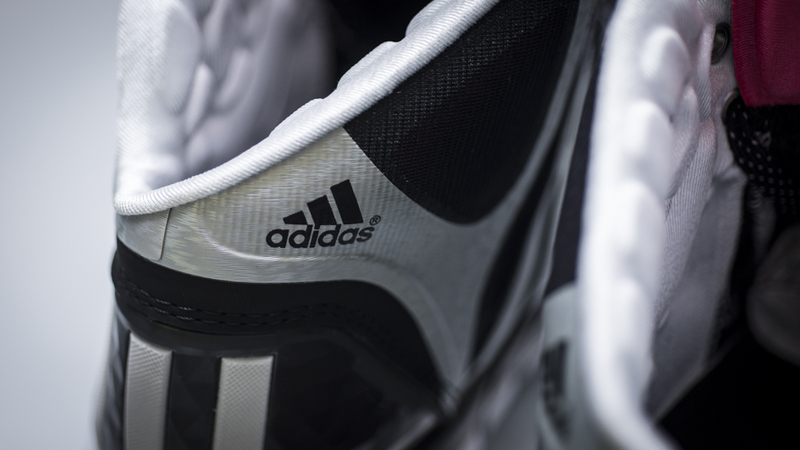 Considering the size of his contract and the fact that he is one of the main faces of the Three Stripes, we don’t blame them. 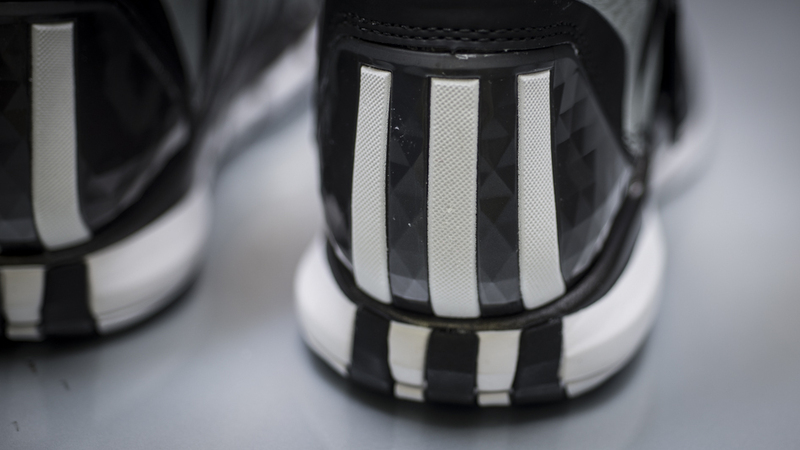 It also doesn’t hurt that he has some dope shoes, so we’ll continue to rock them until he makes his highly anticipated return (whenever that may be). 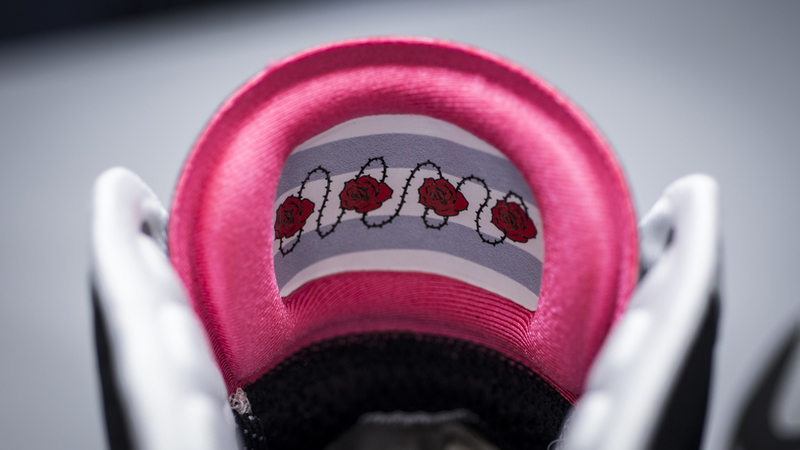 After getting a clean black and red Chicago Bulls colorway of the 4.5, we are now treated to something a bit louder. 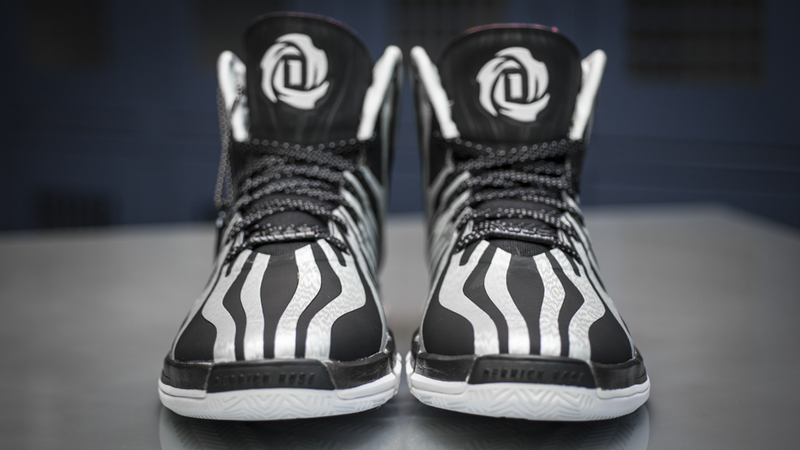 Contrary to D Rose’s non-flashy style of play and demeanor, this Running White/Black zebra-like print will have you standing out from the crowd. 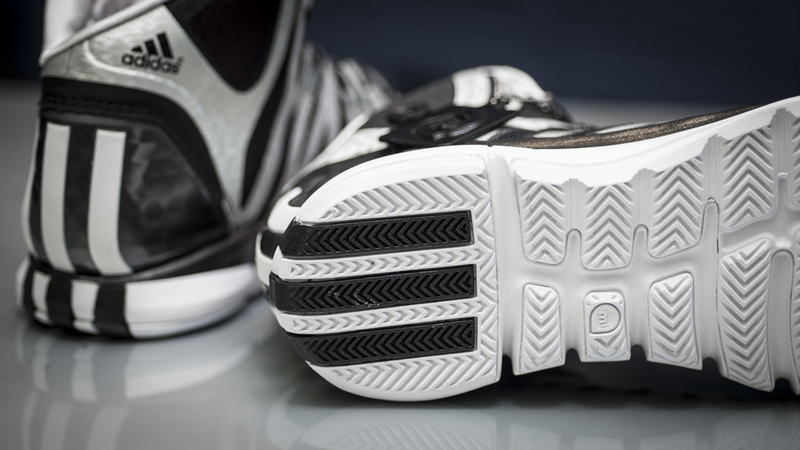 It still has all the enhancements that make the 4.5 a welcomed upgrade from the 4. 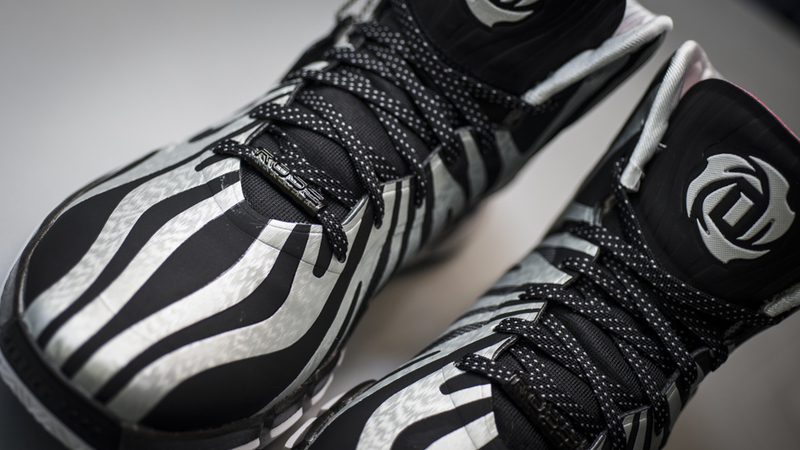 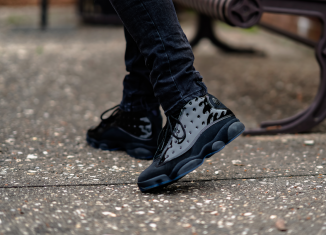 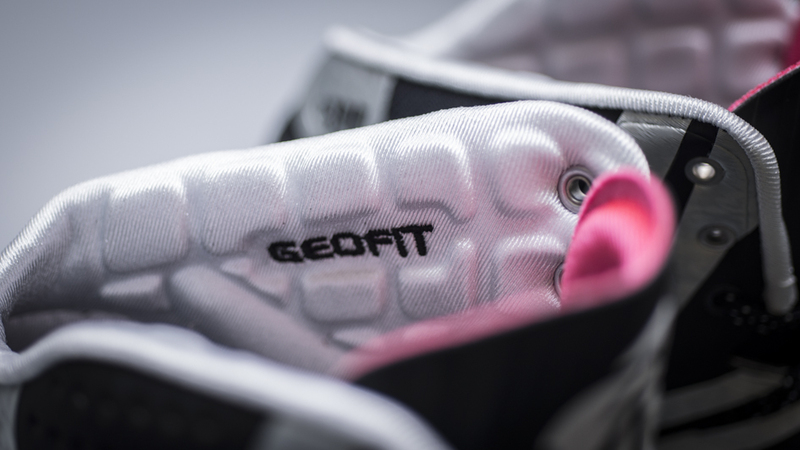 With a CrazyQuick sole and mesh and synthetic upper, this shoe is both durable and flexible enough to support anyone’s game. 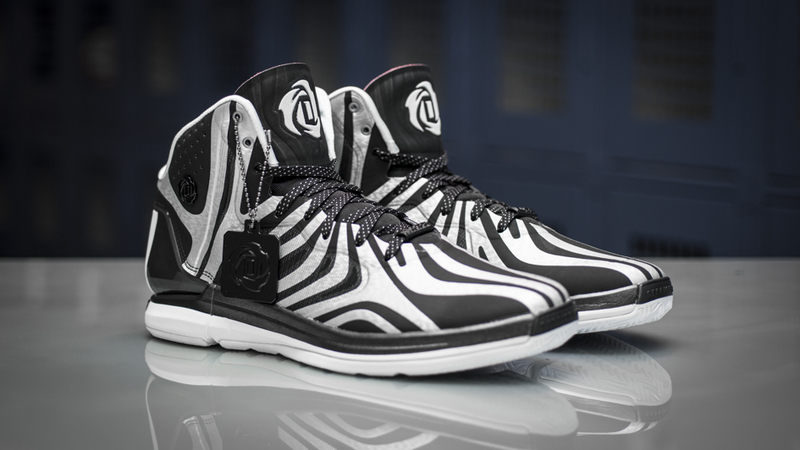 A lot of times people will have different opinions on shoe styles depending on whether they play indoors or outdoors, but according to Nightwing, the D Rose 4.5 is perfect for both. 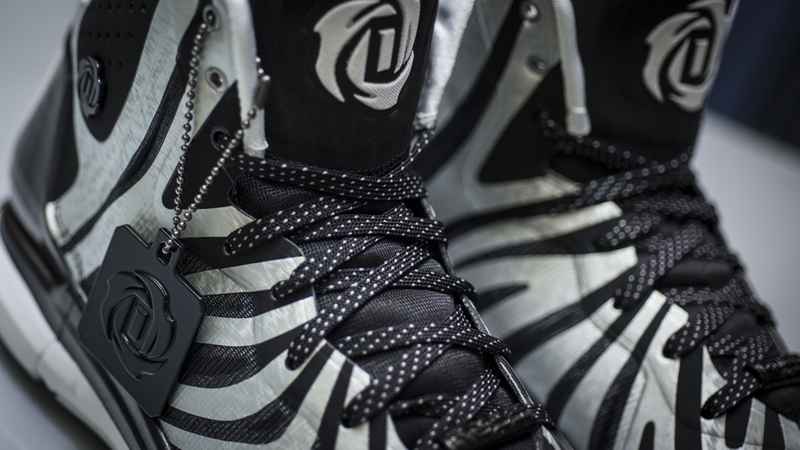 We don’t know too many people who play as aggressive as D Rose, so these should keep you supported while adding a bit of flash to your game. 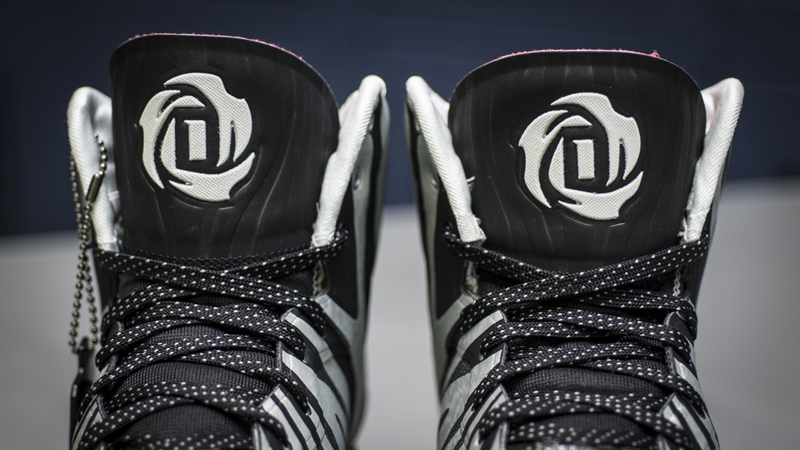 You can pick up the adidas D Rose 4.5 Basketball Shoes today on finishline.com.